I think they’re trying to cover up — well, explain away. Rather than deny the Clintons paid for this, rather than deny the DNC paid for it, they’re now trying to say, “It doesn’t matter who paid for it. What matters is if it’s true.” And that is a technique to keep it alive as a relevant intelligence document — while it is in the middle of being totally debunked as not an intelligence document, but a cheap attempt at… Well, not cheap. It cost ’em $9 million. But, I mean, it’s a pretty flagrant attempt here at replicating opposition research. Now, there is a guilty plea that was announced today too. George Papadopoulos, who was a foreign policy adviser to Trump for a couple of minutes — you know, for a cup of coffee — has been arrested on a process crime. He’s been arrested for making false statements to FBI agents. He was arrested back on October 5th. He was arrested 25 days ago. We’re only finding out about that today. So the news of his arrest was withheld in order to bundle it with the indictment of Manafort in order to give it more weight. Now, a lot of people were stunned and shocked over the weekend to learn that Fusion GPS had been hired by a publication many have thought to be conservative, the Washington Free Beacon. Everybody up to that point assumed that Fusion GPS was working exclusively for the Democrat National Committee and the Clinton campaign. But during this past year and a half there have been allusions to the fact that a huge Republican Never Trumper was out there actively engaged in trying to destroy the Trump campaign from the moment the campaign began the Republican primaries. So everybody concluded it was Jeb Bush. But it wasn’t. It turned out to be a man by the name of Paul Singer. Does the name ring a bell at all? (interruption) Why does it ring a bell, Mr. Snerdley? (interruption) Google “Paul Singer” and “climate change” and see what you get. I don’t know what you’re gonna get. Google it and see what you get. Paul Singer, it turns out, is one of the primary investors of the Washington Free Beacon, and there are some who think that Bill Kristol might have been involved in this. ‘Cause Kristol was out openly hostile to Trump and was actually nominating people who ought to run for the Republican nomination cause Kristol wasn’t happy with any of them, especially after Trump began to lap the field. But here’s the thing about the Washington Free Beacon. They ceased operations with Fusion GPS after Trump got the nomination. Whatever the Washington Free Beacon was doing with Fusion GPS, it ended the moment Trump got the nomination, and they figured they had failed. Whatever they had done, however much money they had spent to try to prevent Trump from getting the nomination was a gigantic failure. The Washington Free Beacon is saying they paid Fusion to do research on at least two of the front-running Republican candidates, and the claim that all the material Fusion gave them came from open-media sources — meaning standard, everyday news reports — that Fusion GPS really didn’t dig up any dirt that nobody else knew. Now, there’s even more news about who funded Fusion. According to reports, Obama’s former campaign group, Organizing for America — that’s Obama’s campaign Alinsky group. After he was elected, it became Organizing for America. You paid a $9 million expenditure and nobody knows? Strains credulity. So the DNC and Hillary and whoever else was paying Fusion $9 million; Obama’s Organizing for America gave the law firm $1 million. This is exactly when the Democrats took over funding Fusion GPS through Perkins Coie. They were the cutout law firm that the money was funneled through to try to create attorney-client privilege so that nobody could ever untangle this. That’s when they hired Christopher Steele to start making up the Trump dossier. Now, everybody’s pronouncing it Perkins “Coo-eee.” It’s C-O-I-E. I’ve not heard it. I don’t, again, listen to television. I read closed-captioning. So I’ve not heard anybody say it. If it’s Perkins “Coo-eee,” fine. It sounds squirrelly as “Coo-eee” rather than “Coy,” fine. Either way works for me. But if they’re saying “Coo-ee,” it’s “Coo-eee.” Now, look at everybody who knew Fusion GPS. Look at all of the inside-the-Beltway players that were paying Fusion GPS, that knew of Fusion GPS, that was using Fusion GPS. Fusion GPS is in the center of much of this effort to discredit, disqualify, and criminalize Donald Trump and his so-called collusion (f which there’s no evidence yet) in the 2016 presidential election. Now, why are we even here? We only know about who funded Fusion GPS because Devin Nunes, who is the Republican chairman of the House Intelligence Committee, had the guts to sign a subpoena for Fusion’s bank records. Only one Republican had the guts to go where the answers were, and that was the bank records of Fusion GPS. And that opened the floodgates, everybody trying to get out in front of the story. When that happened, when the judge finally told Fusion they were gonna have to come clean, that’s when all of these leaks began and that’s when the rats began scurrying and that’s when everybody tried to get the story out in their own way so that they would not be negatively impacted by it or at least not really badly. But the Hillary campaign and the DNC and the Obama people almost got away with this, folks. If it hadn’t been for Devin Nunes, none of what we know today would be known. 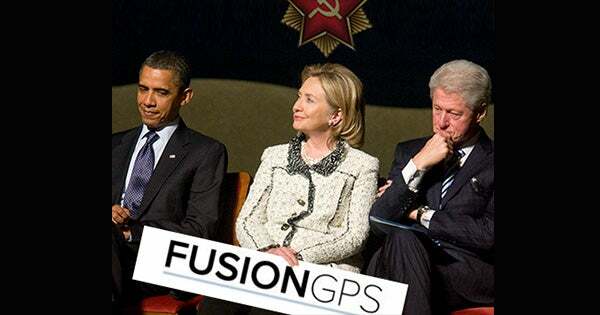 We wouldn’t know that Hillary Clinton and the DNC had hired GPS. We wouldn’t know about the law firm Perkins Coie and their cutout behavior to provide attorney-client privilege so nobody could unravel this. We wouldn’t know. All we would know today is that Manafort had been indicted, and, man, is it looking bad, because as you’ll hear from every expert, this is just the first step. Of course they’re not gonna indict the president first wave. They gotta get somebody to flip on him. And that’s how they’re presenting this. We wouldn’t know any of what we know to counterbalance any of this. We wouldn’t know the high degree of culpability of the Democrat National Committee, the Obama administration, and the Clinton campaign in this dirty trick of all dirty tricks, we wouldn’t know if Devin Nunes had not insisted and signed the subpoena forcing Fusion GPS to surrender its bank records. RUSH: That’s right. I told you earlier that Pencil Neck said… He’s the ranking Democrat on the House Intelligence Committee. He said, “It doesn’t matter who paid for the Trump dossier. What matters is whether it’s true.” So does that mean that Citizens United doesn’t matter anymore? Well, no, these guys are having cows over Citizens United, which meant that corporations and all that could donate to political campaigns. Now it doesn’t matter who paid for it? Mr. Schiff, do you realize what a giant step-in-it you just did? (muttering) “Well, I think it doesn’t matter really who paid for it.” Doesn’t matter who paid for it? That’s the sole reason you opposed Citizens United. “It doesn’t matter.” It only doesn’t matter who paid for it because the Clintons and the Democrats did. His focus is on how much of it’s true. How much of it has been shown to be true, Pencil Neck? Zilch, zero, nada. Anyway, Manafort and Gates have pleaded not guilty to the charges in their indictment, which is not unusual. RUSH: Yeah, yeah, yeah. I’m not… Are you surprised? The judge in the Manafort case, where it stands right now, is an Obama appointee. Is anybody surprised by any of this? You shouldn’t be. You know, there’s a news story out that that whole meeting… It was a speculative story. Remember the meeting of Donald Trump Jr. with the Russian honey pot, [Natalia] Veselnitskaya? “Was that whole thing maybe a setup just to entrap…?” Of course it was! The whole thing — all of this — is a setup, every bit of it. That’s the point that I was trying to make last week. When we learned that Hillary and the DNC used that law firm, Perkins Coie to hire Fusion GPS to go out there and create the Trump dossier, all of this is made up. All of this is entrapment. Every damn bit of it! It’s right out of the Democrat Party playbook. The point about the dossier, again — the reason they went for this appearance of “official intelligence,” foreign country, Chris Steele, MI6 — is because every conventional trick to destroy Trump had failed, including the Access Hollywood video. Everything they had become accustomed to succeeding in getting rid of Republicans, every one of them failed, so they had to try something brand-new, and they went for something that looked like it was way outside the political system. (impression) “This was legal. This was intelligence. This was MI6. (muttering)” It was supposedly insulated from political corruption, when in fact it was the epitome of it.